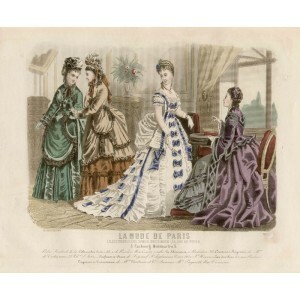 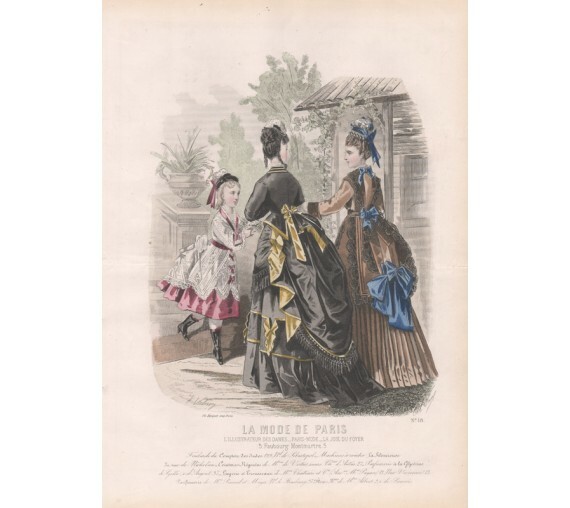 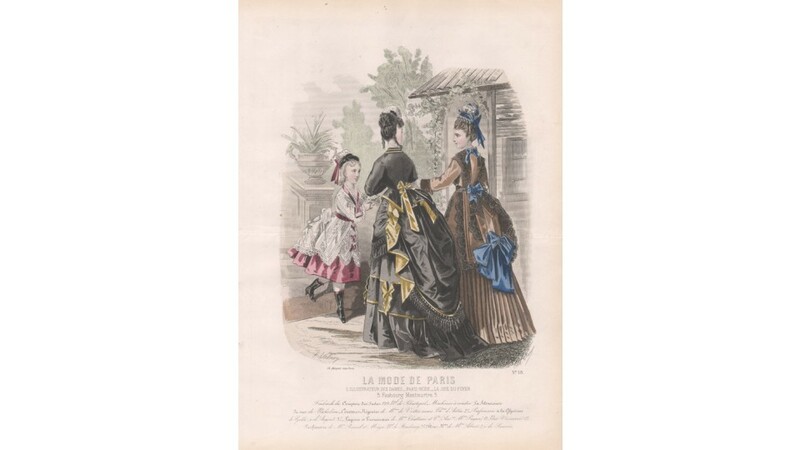 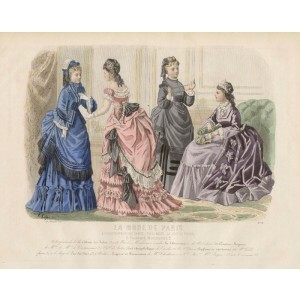 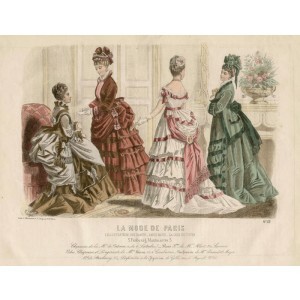 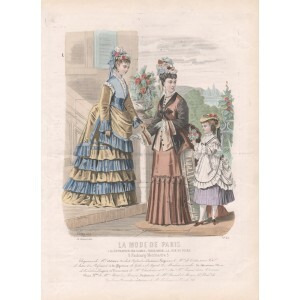 French 1870s fashion illustration, from a series called 'La Mode de Paris'. 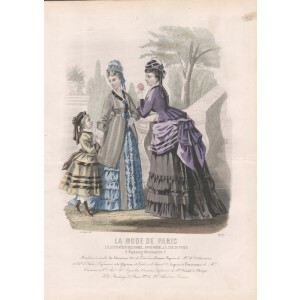 Signed in the plate by the artist. 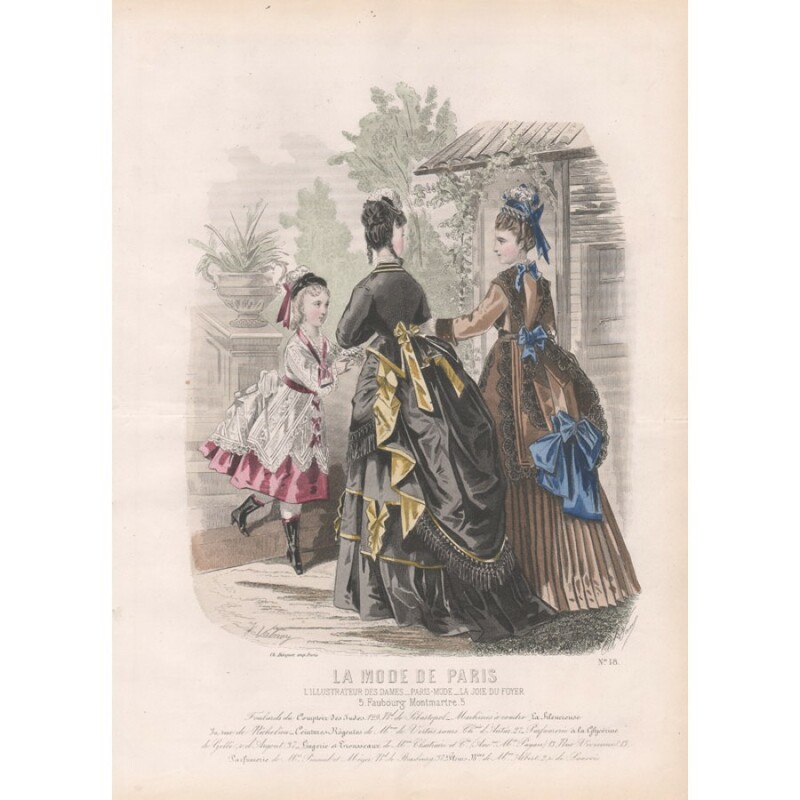 Printed by Charles Becquet in Paris. 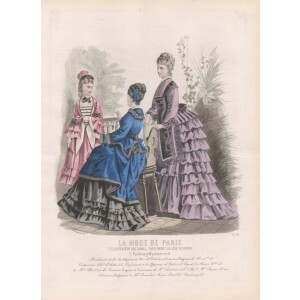 Very faint off-setting.